Beer sometimes means headaches, but brewing shouldn’t. 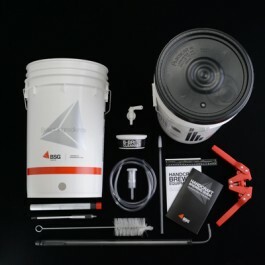 That’s why BSG HandCraft packs the K3 with helpful equipment you won’t find in other base-level kits, like an automatic pump-style siphon, an adhesive thermometer for the primary fermenter, and a full 27-page beginner’s guide. It’s everything you need to make sure the brewing process is fun and easy – headaches not included!